Woman's Day Magazine Actually Published That? My wife has been a reader of Woman's Day Magazine since before we were married. Not only has she been a reader of that magazine I sold that magazine for many years through my relationship with the Safeway grocery chain in years past. It is always been a reliable and respected source of popular and useful information. Truth is, I confess. that I have perused its pages myself. In fact, that's exactly what I was doing when I came across an article under the heading of Travel Smart: Trip Planning Pointers - 10 Things Travel Agents Won't Tell You by Anne Roderigue-Jones. Ms. Roderigue-Jones did with 10 bullet points what reading a magazine beginning in the 1970's was not able to do . . . . Get me to throw a magazine in the trash with disgust. However, 30 minutes later I found myself digging through that same trash to retrieve the magazine. I just could not believe what I had read and had to take one more look. As I reread the article I realize this poor woman knows absolutely nothing about which she is writing and what information she has came from Online Travel Agency owners. I say that because I don't want to accuse her of deliberately distorting and/or outright falsifying information. There is so little in her article that is actually true as to brand the whole thing as a lie. After reading and re-reading the article I just couldn't let it go. I thought, some of my clients will read this and because it is in a reputable magazine might actually believe this lunacy. I just need to say a word or two or three or more about what Anne Roderigue-Jones has said. The article begins with the outright accusation that travel agents deliberately inflate the cost of travel in order to boost their already sizable commissions and that they often receive bonus commissions for so doing. The only thing accurate in her assertion is that most travel agents received commissions on sales made. However, you would hardly call them sizable. For example, as I write, I can book you on a seven day Carnival cruise for December 1, 2013 out of Galveston,Texas on the Carnival Magic in the category 1-A room at a cost of about $900 for two people. My commission will be $54 or about 7%. This is hardly a major commission and there are no bonuses or prizes or free trips or bonus points to be accumulated. And, just so you know, booking online yourself with an OTA will not save you the $54 since the commission is already factored into the fare by the cruise line. Instead, the OTA gets it. If you book directly with the cruise line they just pockets it themselves. In a sense you are paying them for the privilege of booking online. If MS Cambridge, the lady mentioned in the article, received a fur coat for selling an Alaskan cruise it was because some supplier was having an incentive promotion. She had to have sold a minimum number of Alaska cruises in a fixed period of time. (I've never actually heard of one of these) and did not impact the price of the cruise. It really made the point because several thousands of other travel agents sold Alaskan Cruises at that very same time (whenever it was) that didn't get a prize. Instead they got a small commission. When it comes to airlines she has it wrong again. The only travel agency that can book directly with the airline are those agencies who hold and International Air Transportation Association memberships. You cannot use Cruise Lines International Association enumeration number (CLIA) or a Travel Retailer Universal Enumeration number (TRUE) to book directly with any airline. Additionally, airlines do not pay commissions to Travel Agents. 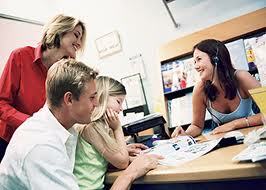 Travel Agents who book air do so as a courtesy to their clients and may or may not charge a small fee. In most cases a TRUE or CLIA registered travel agent will work with a trusted supplier to put together a vacation package that includes air. Some of these pay commission on air and some do not. Her third assertion is ridiculous on it's face. No one, and I mean absolutely no one, has visited every property available to the consumer. 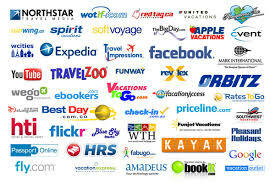 Virtually all online hotel booking sites use Hotels.com's data base. Online travel agencies, commonly referred to as OTA's, list as many as 90,000 properties in their database. Some even list more and in many cases are using the very same database that your travel agent is using. However, your travel agent will have in all likelihood have visited many of the properties that they recommend. As a result they know firsthand what the property is like. They are not going to steer you to a bad property or an overpriced property because they would like to have your repeat business. They will not get you a room facing the cemetery either unless of course that's what you want. The need for flexibility is self-evident but not always possible. Besides, if you have a more than point-to-point flight you had better be very careful that you don't wind up with a seven or eight hour layover or find yourself arriving in a foreign country at 2 AM in the morning and and nothing is stirring except a mouse in the airport The OTA may get you a low price but not the best deal. It might be the cheapest price but it may take you hours longer to get where you're going . She follows this is by virtually suggesting that you shouldn't even consider buying travel insurance since you have a credit card and you have health insurance. What she doesn't bother to tell you is that with travel insurance companies health care is paid at time of service but with your insurance company you have to submit invoices for reimbursement. If you get a serious illness of a foreign country you have to pay for it upfront. I don't know about you but I don't generally carry that kind of money around with me. Come to think of it of I don't have that kind of money to carry around. I'm betting you don't either. However, I do suggest you check with your health insurance carrier, your insurance companies and your credit card companies and find out what their policies are how they operate before you purchase additional insurance is just the smart thing. Just remember that Medicare does not pay for services rendered outside of the United States or it's territories. She also mentions "Milestone" trips (anniversaries etc.). When it comes to milestone trips she suggests using a Travel Agent. However, if you've done everything that she suggested this far you might as well go ahead and take the risk and do your own milestone trip because there will be no travel agents left to help you with it . Even Jeff Wasson the owner of Gusto.com, a travel related company, suggests that for complicated travel arrangements an agent is needed. Do OTA's offer refunds for cancellations? You'll get no argument from me about what they say in their policies about refunds. However, I can tell you that you might get an argument from the people who have called me trying to get help in taking advantage of those policies. As one lady told me, "They gave me an 800 number and said call Barclay they handle all our refunds." Barclay is an insurance company that underwrites the travel insurance for suppliers such as cruise lines, OTA's, and package vacation companies. Far more could be said but suffice it to be said, "Go ahead and book your trip online, use your Groupon, schedule your flights . . . be a "do-it-yourself" traveler if you're confident you know what you are doing." I hope you get what you think your paying for but be aware when the flight is canceled, or you miss a connection or the in-country representative doesn't show up or your driver speaks only what to you sounds like gobbly-goop call your OTA and see what happens. If you have the time and are of the disposition to do a lot of research and if you're comfortable comfortable with being in strange places without any support then "go for it." Seriously, let me make a suggestion. It is your vacation, holiday or trip and you need to be involved. If you have the time and the disposition for it do your research. Then, if you find something that appeals to you take it to your Travel Agent and ask them to look at it, make suggestions and help finalize the trip. If you don't find anything then sit down with your Travel Agent and have a conversation. I promise, they want you to have the trip of a lifetime every time and there is no good reason for not taking advantage of their expertise. Someone much wiser than me said that anyone who acts as his own lawyer has a fool for a client. I'd apply that to travel as well.